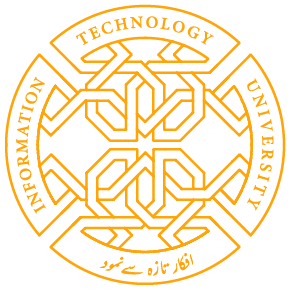 The Vice Chancellor of Information Technology University, Lahore invites you* to ITU’s Main Campus’ Groundbreaking. Muhammad Shehbaz Sharif, Chief Minister of the Punjab, will grace the occasion with his presence. 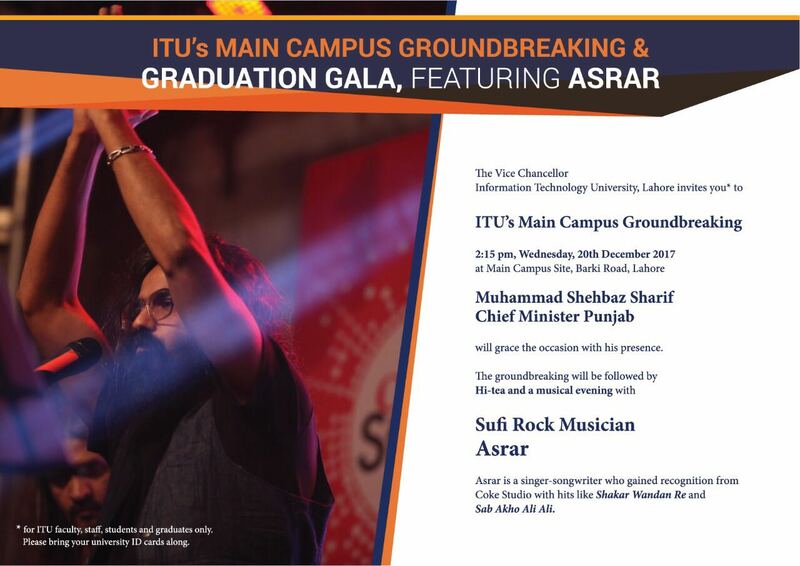 The groundbreaking will be followed by hi-tea and a musical evening featuring Sufi Rock musician ASRAR. Asrar is a singer-songwriter who gained recognition from Coke Studio with hits like “Shakar Wandan Re” and “Sab Akho Ali Ali”. Share the post "ITU’s Main Campus Groundbreaking and Graduation Gala"